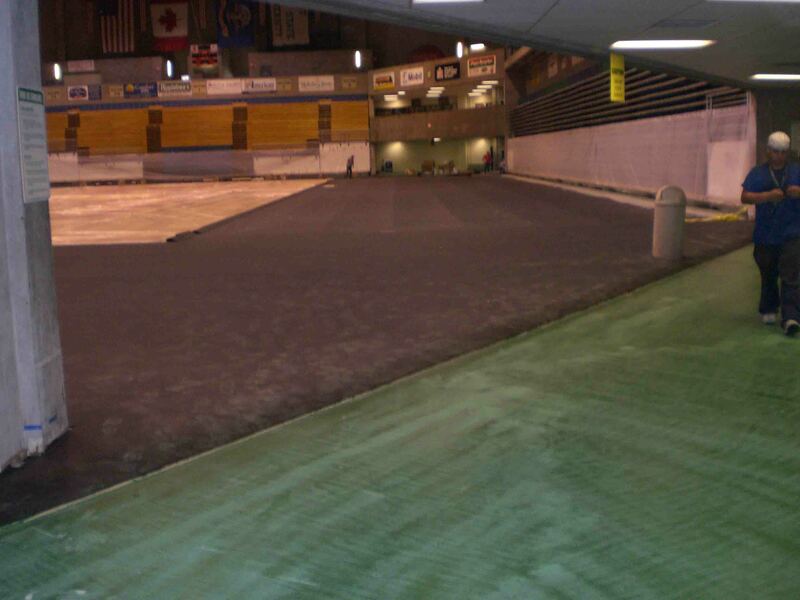 Low-Cost Athletic Floor Replacement, Resurfacing. 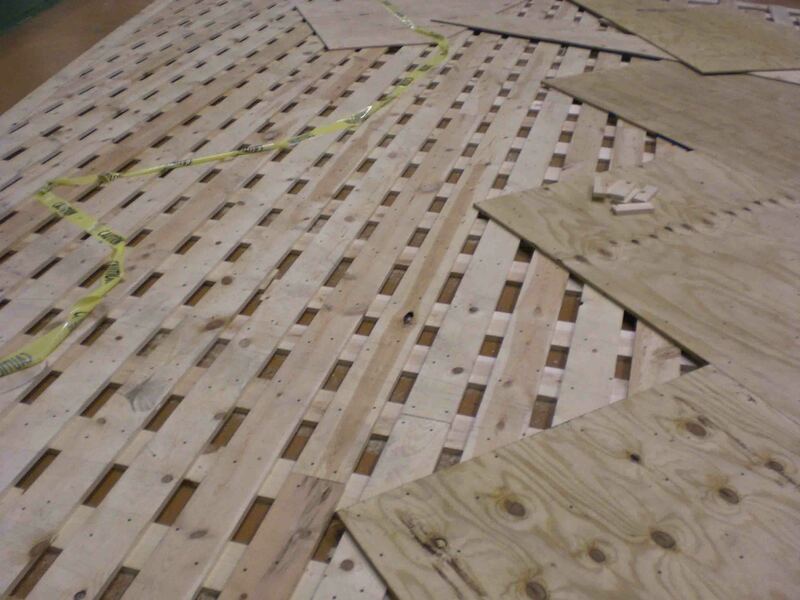 Update your Gym or Indoor Basketball Court Flooring! 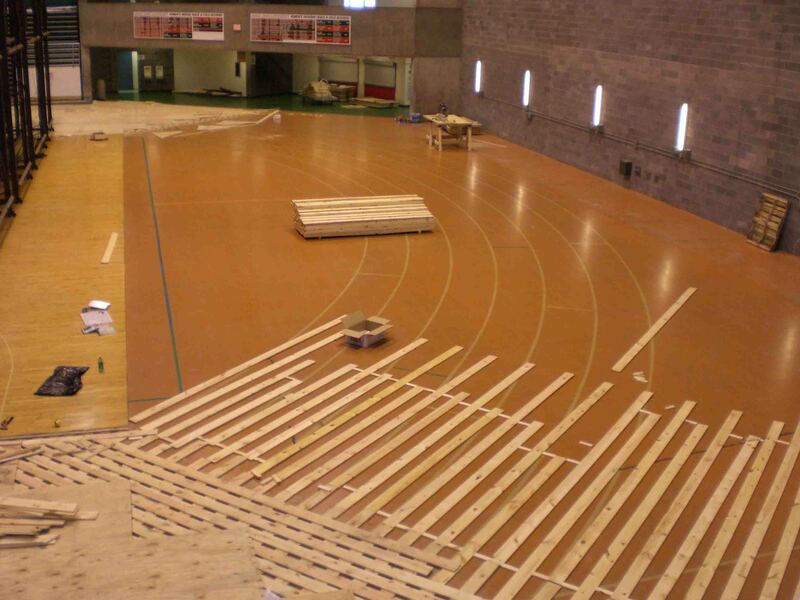 Dynamic Sports Construction, Inc. focuses on many varieties of sports flooring. 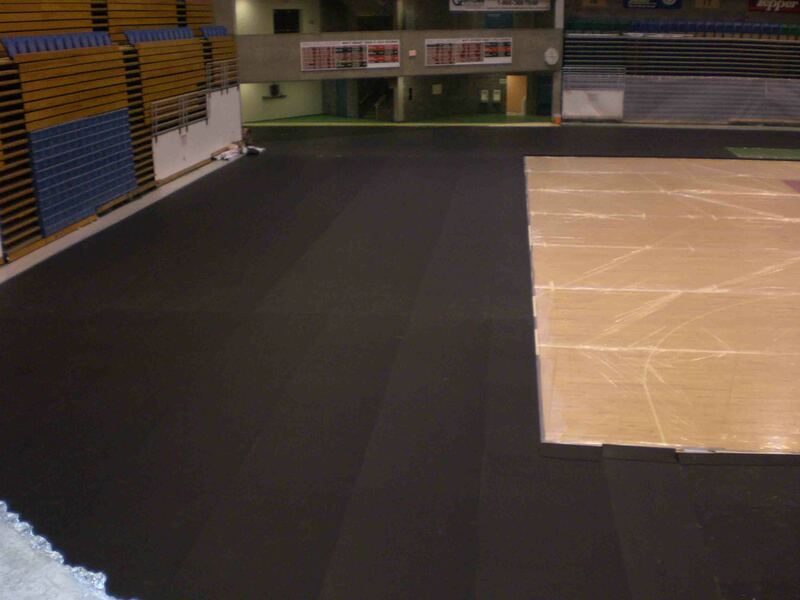 We specialize in the design and manufacture, supply and installation of all types of synthetic athletic sports flooring for many decades, and it shows. 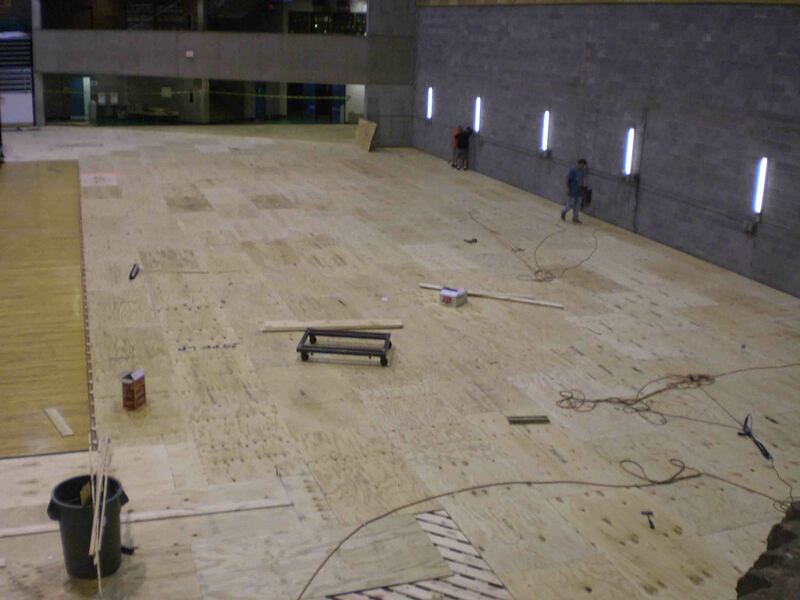 We take sports flooring construction seriously — and offer more than 10 years of experience in the installation of rubber sports flooring for fitness centers, worship facilities and complexes, indoor basketball courts and much more. Every single flooring surface we furnish and install receives the undivided attention of our experienced team of specialists. 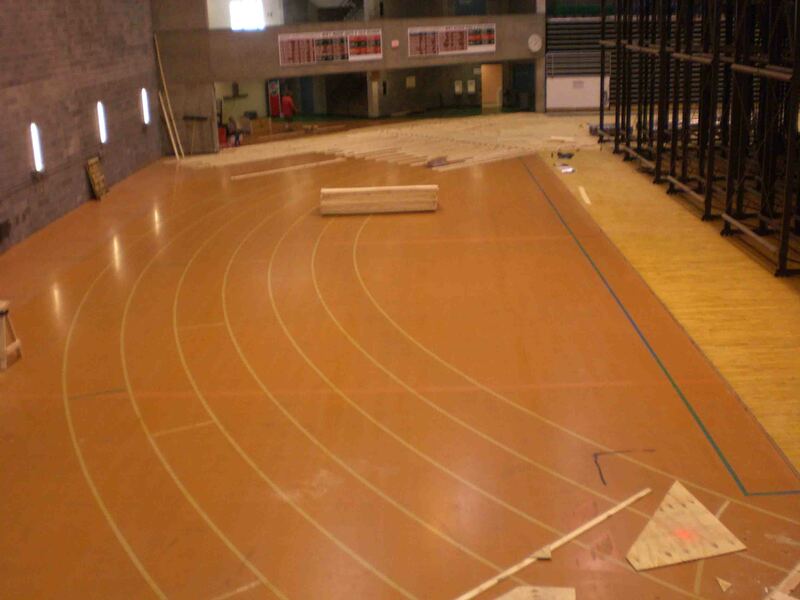 DURABILITY: Our DynaForce® seamless, polyurethane floors offers unsurpassed durability, and we offer other premium flooring construction for sports facilities as well. Our systems can accommodate bleachers, tables and chairs, stages (you name it), plus provide your athletes with the best in synthetic athletic sports flooring for a multitude of surfaces. AESTHETICS AND MAINTENANCE: Our sports flooring surfaces are seamless and will not separate over time. We also include a special coating that helps to resist stains and maintain aesthetics for years to come. LOW-COST REPLACEMENT: Unlike other products, DynaForce® indoor floor systems are budget friendly to refinish. No costly removal or replacement is necessary. Dynamic is a unique entity in our industry in that our primary focus is on construction rather than merely the manufacturing of sports flooring for athletic facilities. 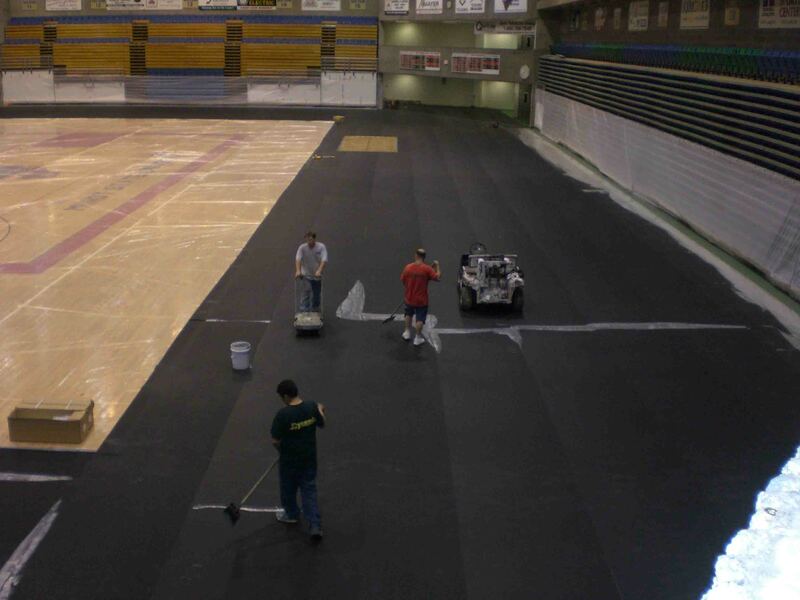 Unlike other companies, Dynamic is a sole-source provider of rubber sports flooring for multipurpose and sports facilities. 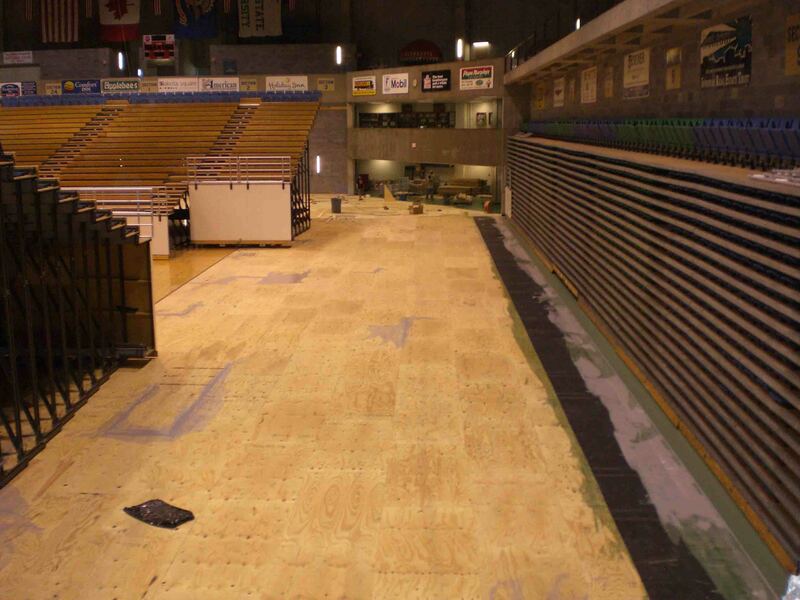 With Dynamic, you get experienced experts whose sole focus is to provide you with the best sports floor in the industry.